Our Athletic Performance programs are built to suit the needs of athletes of all sports. From performance based strength training to movement preparation and injury prevention, we cover all the training qualities athletes need to achieve success in their given sport. We have a training group for all ages and ability levels for young men and women. Our program puts extra focus on the strengthening and stabilization of the neck, knee, ankle, and shoulder. A stable and effectively functioning joint allows for optimum power output, which increases performance while decreasing the risk of common injuries. Improve your kinesthetic awareness (knowledge of body position in three-dimensional space), This program utilizes all of the body’s proprioceptors to enhance performance on the field or during activities of daily living. The cycle includes a vast array of exercises to accommodate for all levels of training and remove any form of program stagnation. This program will help you maintain or improve the range of motion about you joints and surrounding muscles; reducing the risk of injury and promoting performance. Many times our common hamstring, back, and knee pain can be caused from inflexibility and tight structures. Following an organized stretching program can usually eliminate these. Are you an athlete? Being able to move through a full range of motion can increase power output by optimizing biomechanical leverage position. Athletic strength training is focused purely on increasing performance on the field or court, period. We aren’t training bodybuilders, we’re training athletes. Power and explosiveness can only be built from a foundation of strength. 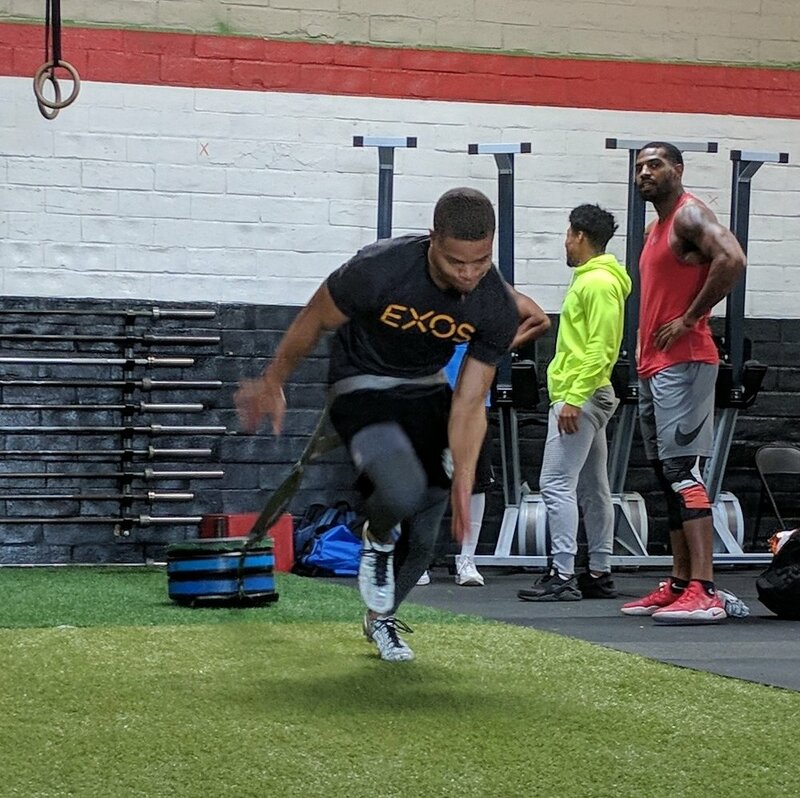 We focus on training the muscles and nervous systemto enhance change of direction, acceleration, and deceleration, while providing you with the proper progression of drills based on your sport and level of training. Building all phases of speed through proper speed progression drills that consists of running mechanics and technique is critical to closing on or pulling away from your opponent. The cycles will encompass resistive running drills, free running for acceleration and top-end speed, and over-speed drills that will focus on neural impulse speed and physiological adaptation. A strong core is extremely important characteristic of any athlete. It is the center for most body movements, allowing effective transfer of power from upper and lower extremities and is necessary for increasing your speed, agility, overall strength, explosiveness, and coordination. If you want to increase your power and explosiveness, this cycle is for you! These exercises teach the body to utilize the elastic principles of the muscles and increase neural impulse speed through trained activation; this occurs all while reducing the risk of soft-tissue injury. Includes training for the upper and lower body. Develop your on-field quickness by challenging your central nervous system to enhance change of direction, acceleration, and deceleration, while providing you with the proper progression of drills based on your sport and level of training.